Champions’ Weekend is on the horizon as the flat horse racing season comes to a close in the United Kingdom for another year. There have been some outstanding competitors that have delighted spectator and bettors alike with their performances on the track. The penultimate weekend in October is the last opportunity that some of the horses will compete at Ascot and their respective trainers will be desperate to see them sign off on a high note. One of the competitors that will be striving for success will be Kew Gardens. The bay colt put forward a fine performance to win the St Leger Stakes at Doncaster, placing ahead of Lah Ti Dar among others in a talented field. As a result of his performance, he will be one of the leading contenders for the crown in the Champions Long Distance Cup. However, there is a lot of competition in the event, including Ascot Gold Cup winner Stradivarius. Due to the quality of horses on display, the weekend can be a difficult proposition for punters in accumulators. Therefore, it could behove a bettor to delve into a punt to safeguard against surprise results such as a trixie. 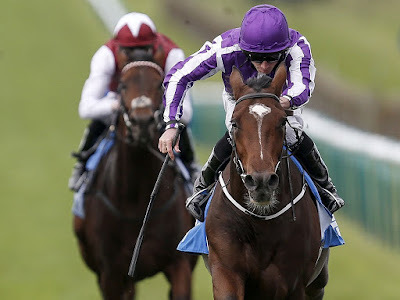 A four-fold accumulator can come in if only three horses are successful and to learn more about those types of bet use the trixie betting guide to solve any questions, but for major events such as Champions’ weekend, Royal Ascot and Cheltenham Festival they can be worth their weight in gold. Kew Gardens’ field for the Long Distance Cup is a good reason why trixie bets can be useful. He has immense talent, although, given the quality in the race, the bay colt is still a slight outsider. Stradivarius, Flag of Honour and Capri all have shorter odds than Aidan O’Brien’s charge given their pedigree. To boost the value of an accumulator, placing Kew Gardens in with others leading contenders in other races such as Roaring Lion, The Tin Man and Lah Ti Dar proves the value of the trixie. The other three are the leading contenders and could well sweep their way to victory. 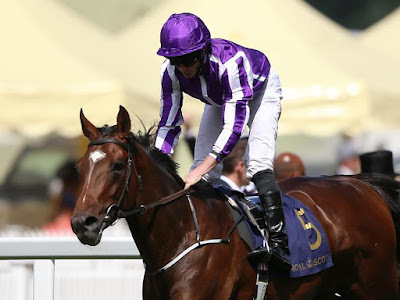 As an outsider, Kew Gardens boosts the value, but could well produce a stunning performance at Ascot to defeat Stradivarius and the rest of the field. However, the trixie provides the cover for the bettor. There’s no reason why Kew Gardens could not win the event, having already achieved a victory at Ascot this term in the Queen’s Vase. The Irish horse was not the favourite for the event, but produced a brilliant performance, displaying the endurance and then the pace down the stretch to close out a comfortable victory. Kew Gardens finished four-and-half lengths ahead of his nearest rival – his stable-mate Southern France – to achieve the win. In his last outing at Doncaster in the St Leger Stakes, he pulled off another fine display, winning the event by two-and-a-quarter lengths ahead of Lah Ti Dar. The challenge will be great for the Irish horse to overhaul a number of fine competitors, but he’s certainly one to monitor given the license of the trixie.